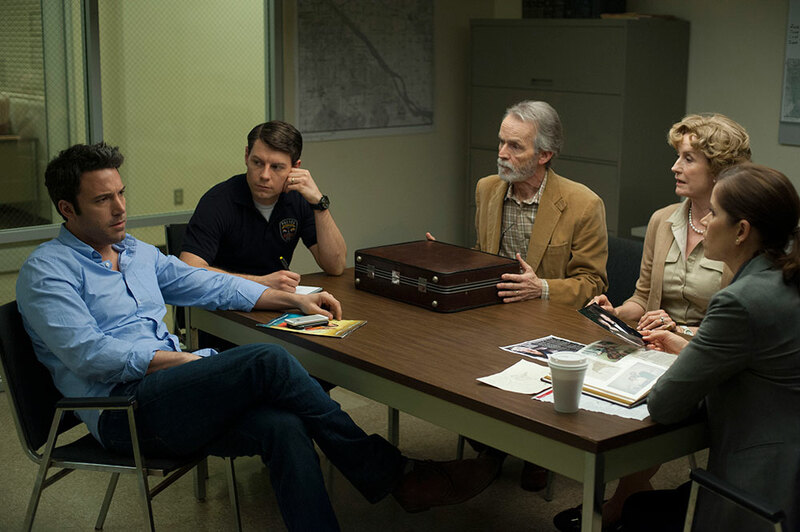 The investigation of crime is a film topic with which David Fincher is very familiar. He returns to this genre in the new Netflix series, Mindhunter, which is executive produced by Fincher and Charlize Theron. The series is the story of the FBI’s Behavioral Science Unit and how it became an elite profiling team, known for investigating serial criminals. 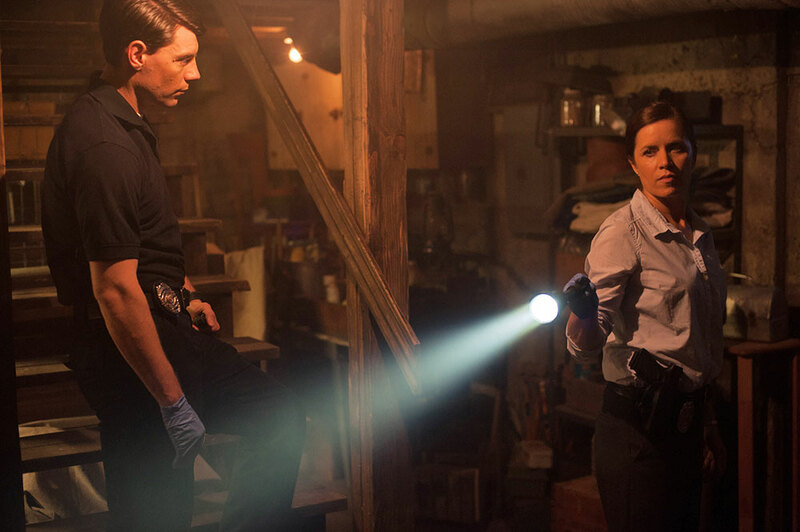 The TV series is based on the nonfiction book Mind Hunter: Inside the FBI’s Elite Serial Crime Unit, co-written by Mark Olshaker and John Douglas, a former agent in the unit who spent 25 years with the FBI. Agent Douglas interviewed scores of serial killers, including Charles Manson, Ted Bundy, and Ed Gein, who dressed himself in his victims’ skin. The lead character in the series, Holden Ford (played by Jonathan Groff) is based on Douglas. The series takes place in 1979 and centers on two FBI agents, who were among the first to interview imprisoned serial killers in order to learn how they think and apply that to other crimes. 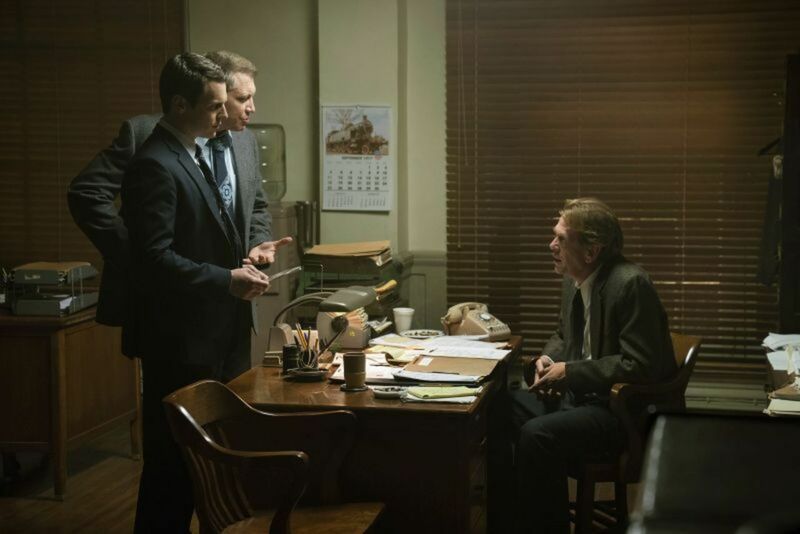 Mindhunter is about the origins of modern day criminal profiling. Pushing the envelope is also a factor on the production side. The series was shot with custom versions of the RED Weapon camera. Shots were recorded at 6K resolution, but framed for a 5K extraction, leaving a lot of “padding” around the edges. This allowed room for reposition and stabilization, which is done a lot on Fincher’s projects. In fact, nearly all of the moving footage is stabilized. All camera footage is processed into EXR image sequences in addition to ProRes editing files for “offline” editing. These ProRes files also get an added camera LUT so everyone sees a good representation of the color correction during the editing process. One change from past projects was to bring color correction in-house. 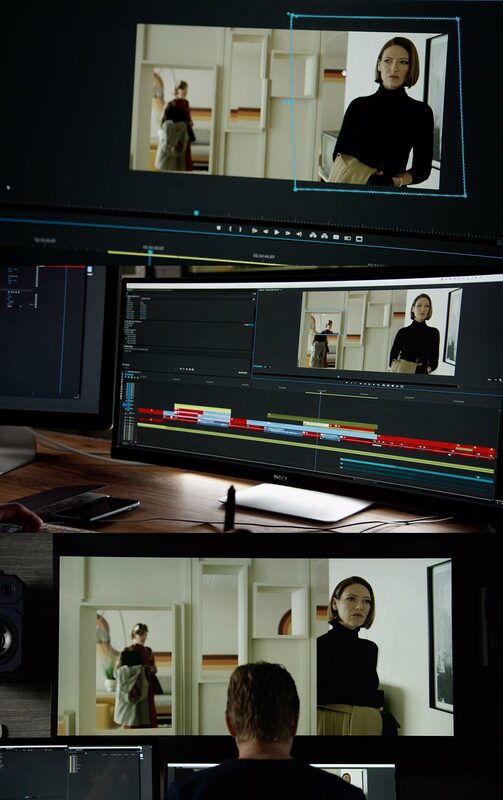 The final grade was handled by Eric Weidt on a FilmLight Baselight X unit, which was sourcing from the EXR files. The final Netflix deliverables are 4K/HDR masters. Pushing a lot of data through a facility requires robust hardware systems. The editors used 2013 (“trash can”) Mac Pros connected to an Open Drives shared storage system. This high-end storage system was initially developed as part of the Gone Girl workflow and uses storage modules populated with all SSD drives. Click here for Steve Hullfish’s Art of the Cut interview with Tyler Nelson and Kirk Baxter. Click here for Scott Simmons’ interview from NAB 2018. 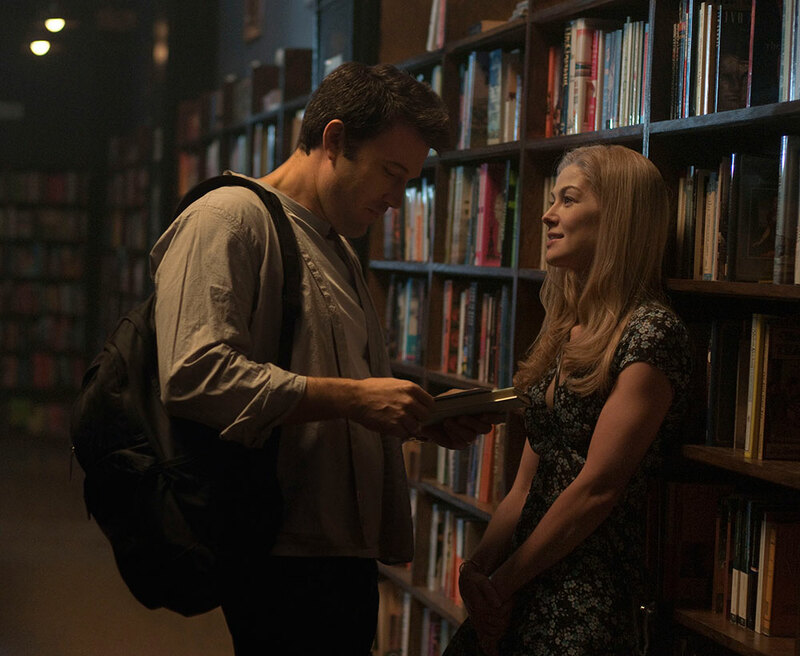 David Fincher is back with another dark tale of modern life, Gone Girl – the film adaptation of Gillian Flynn’s 2012 novel. Flynn also penned the screenplay. It is the story of Nick and Amy Dunne (Ben Affleck and Rosamund Pike) – writers who have been hit by the latest downturn in the economy and are living in America’s heartland. Except that Amy is now mysteriously missing under suspicious circumstances. The story is told from each of their subjective points of view. Nick’s angle is revealed through present events, while Amy’s story is told through her diary in a series of flashbacks. Through these we learn that theirs is less than the ideal marriage we see from the outside. But whose story tells the truth? To pull the film together, Fincher turned to his trusted team of professionals including director of photography Jeff Cronenweth, editor Kirk Baxter and post production supervisor Peter Mavromates. 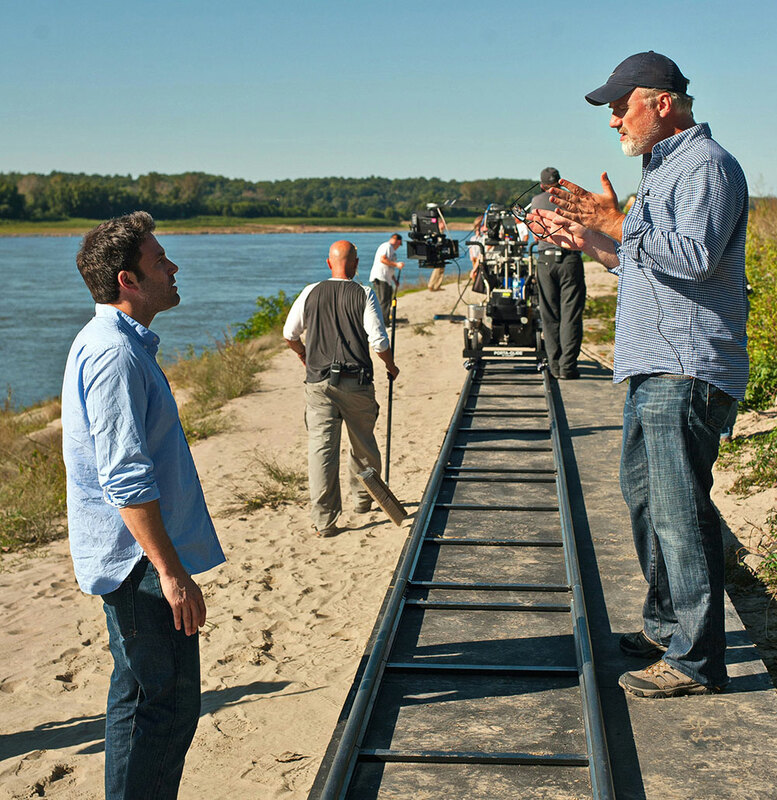 Like Fincher’s previous films, Gone Girl has blazed new digital workflows and pushed new boundaries. It is the first major feature to use the RED EPIC Dragon camera, racking up 500 hours of raw footage. That’s the equivalent of 2,000,000 feet of 35mm film. Much of the post, including many of the visual effects, were handled in-house. 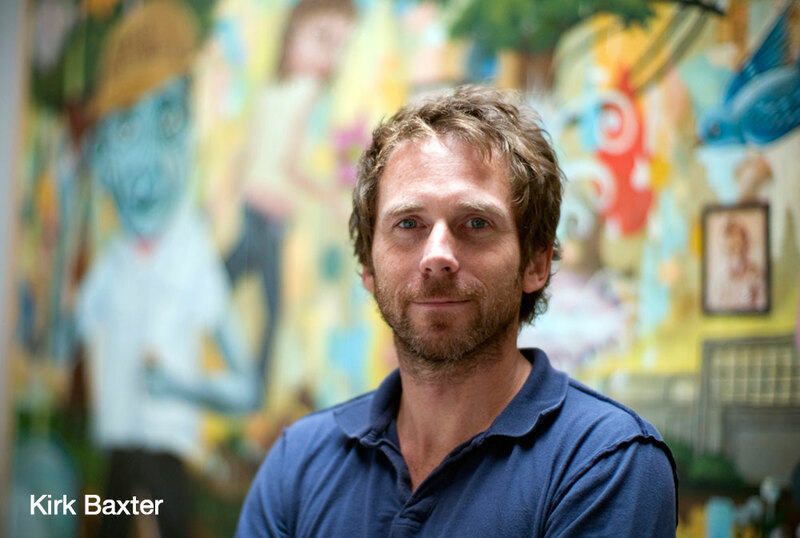 Kirk Baxter co-edited David Fincher’s The Curious Case of Benjamin Button, The Social Network and The Girl with the Dragon Tattoo with Angus Wall – films that earned the duo two best editing Oscars. Gone Girl was a solo effort for Baxter, who had also cut the first two episodes of House of Cards for Fincher. This film now becomes the first major feature to have been edited using Adobe Premiere Pro CC. Industry insiders consider this Adobe’s Cold Mountain moment. That refers to when Walter Murch used an early version of Apple Final Cut Pro to edit the film Cold Mountain, instantly raising the application’s awareness among the editing community as a viable tool for long-form post production. Now it’s Adobe’s turn. A custom pipeline was established to make the process efficient. This was spearheaded by post production consultant Jeff Brue, CTO of Open Drives. The front end storage for all active editorial files was a 36TB RAID-protected storage network built with SSDs. A second RAID built with standard HDDs was used for the .r3d camera files and visual effects elements. The hardware included a mix of HP and Apple workstations running with NVIDIA K6000 or K5200 GPU cards. Use of the NVIDIA cards was critical to permit as much real-time performance as possible doing the edit. 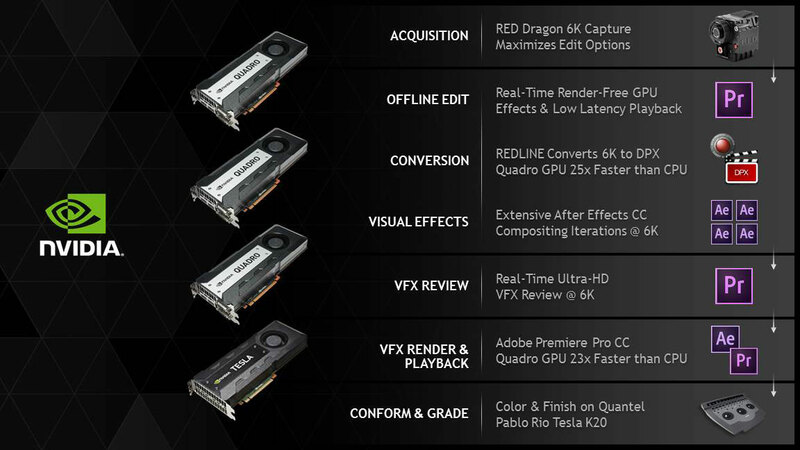 GPU performance was also a key factor in the de-Bayering of .r3d files, since the team didn’t use any of the RED Rocket accelerator cards in their pipeline. The Macs were primarily used for the offline edit, while the PCs tackled the visual effects and media processing tasks. In order to keep the Premiere Pro projects manageable, the team broke down the film into eight reels with a separate project file per reel. Each project contained roughly 1,500 to 2,000 files. In addition to Dynamic Linking of After Effects compositions, most of the clips were multi-camera clips, as Fincher typically shoots scenes with two or more cameras for simultaneous coverage. This massive amount of media could have potentially been a huge stumbling block, but Brue worked closely with Adobe to optimize system performance over the life of the project. For example, project load times dropped from about six to eight minutes at the start down to 90 seconds at best towards the end. The final conform and color grading was handled by Light Iron on their Quantel Pablo Rio system run by colorist Ian Vertovec. The Rio was also configured with NVIDIA Tesla cards to facilitate this 6K pipeline. Nelson explained, “In order to track everything I used a custom Filemaker Pro database as the codebook for the film. This contained all the attributes for each and every shot. By using an EDL in conjunction with the codebook, it was possible to access any shot from the server. Since we were doing a lot of the effects in-house, we essentially ‘pre-conformed’ the reels and then turned those elements over to Light Iron for the final conform. All shots were sent over as 6K DPX frames, which were cropped to 5K during the DI in the Pablo. We also handled the color management of the RED files. Production shot these with the camera color metadata set to RedColor3, RedGamma3 and an exposure index of 800. That’s what we offlined with. These were then switched to RedLogFilm gamma when the DPX files were rendered for Light Iron. If, during the grade, it was decided that one of the raw settings needed to be adjusted for a few shots, then we would change the color settings and re-render a new version for them.” The final mastering was in 4K for theatrical distribution. As with his previous films, director David Fincher has not only told a great story in Gone Girl, but set new standards in digital post production workflows. Seeking to retain creative control without breaking the bank, Fincher has pushed to handle as many services in-house as possible. 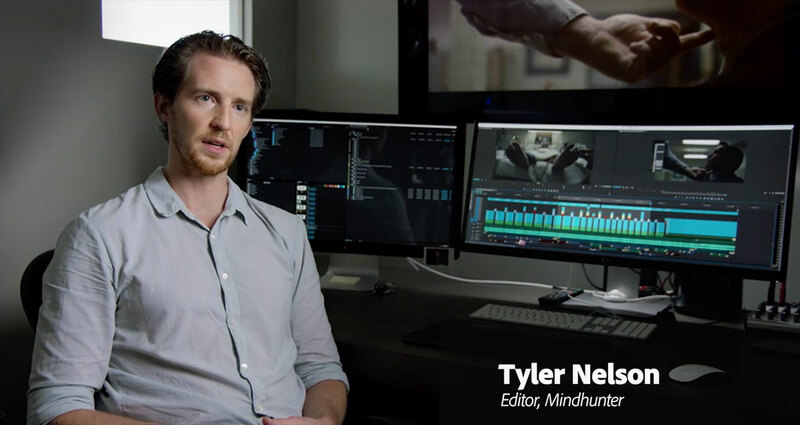 His team has made effective use of After Effects for some time now, but the new Creative Cloud tools with Premiere Pro CC as the hub, bring the power of this suite to the forefront. Fortunately, team Fincher has been very eager to work with Adobe on product advances, many of which are evident in the new application versions previewed by Adobe at IBC in Amsterdam. 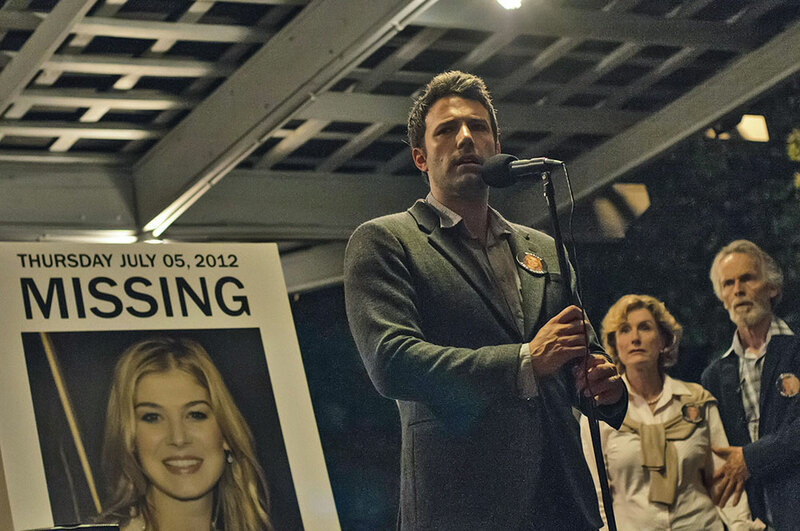 With a film as complex as Gone Girl, it’s clear that Adobe Premiere Pro CC is ready for the big leagues. The director who brought us Se7en has tapped into the dark side again with the Christmas-time release of The Girl with the Dragon Tattoo. Hot off of the success of The Social Network, director David Fincher dove straight into this cinematic adaptation of Swedish writer Steig Larsson’s worldwide publishing phenomena. Even though a Swedish film from the book had been released in 2009, Fincher took on the project, bringing his own special touch. The Girl with the Dragon Tattoo is part of Larsson’s Millennium trilogy. The plot revolves around the disappearance of Harriet Vanger, a member of one of Sweden’s wealthiest families, forty years earlier. After these many years her uncle hires Mikael Blomkvist (Daniel Craig), a disgraced financial reporter, to investigate the disappearance. Blomkvist teams with punk computer hacker Lisbeth Salander (Rooney Mara). Together they start to unravel the truth that links Harriet’s disappearance to a string of grotesque murders that happened forty years before. For this production, Fincher once again assembled the production and post team that proved successful on The Social Network, including director of photography Jeff Cronenweth, editors Kirk Baxter and Angus Wall and the music scoring team of Trent Reznor and Atticus Ross. Production started in August of last year and proceeded for 167 shooting days on location and in studios in Sweden and Los Angeles. Like the previous film, The Girl with the Dragon Tattoo was shot completely with RED cameras – about three-quarters using the RED One with the M-X sensor and the remaining quarter with the RED EPIC, which was finally being released around that time. Since the EPIC cameras were in their very early stages, the decision was made to not use them on location in Sweden, because of the extreme cold. After the first phase in Sweden, the crew moved to soundstages in Los Angeles and continued with the RED Ones. The production started using the EPIC cameras during their second phase of photography in Sweden and during reshoots back in Los Angeles. The Girl with the Dragon Tattoo leans heavily on a score by Trent Reznor and Atticus Ross. An early peak came from a teaser cut for the film by Kirk Baxter to a driving Reznor cover of Led Zeppelin’s “Immigrant Song”. Unlike the typical editor and composer interaction – where library temp tracks are used for the edit and then a new score is done at the end of the line – Reznor and Ross were feeding tracks to the editors during the edit. Some additional coverage from Post magazine. Who would have thought that the online world of social media would make an interesting movie? That’s exactly what David Fincher set out to do in The Social Network, the story of how Harvard undergrad Mark Zuckerberg (played by Jesse Eisenberg) became the youngest billionaire in history – thanks to a little start-up called Facebook. The Aaron Sorkin script is based on the book, The Accidental Billionaires by Ben Mezrich. This was a return engagement for a number of Fincher’s crew, including cinematographer Jeff Cronenweth (Fight Club) and editors Angus Wall (Panic Room, Zodiac, The Curious Case of Benjamin Button) and Kirk Baxter (The Curious Case of Benjamin Button). The past two films – shot with the Grass Valley Viper camera – raised the bar for an all-digital production and post production workflow. The Social Network does that again, as the first released studio picture shot with a RED ONE camera equipped with the upgraded Mysterium-X sensor. 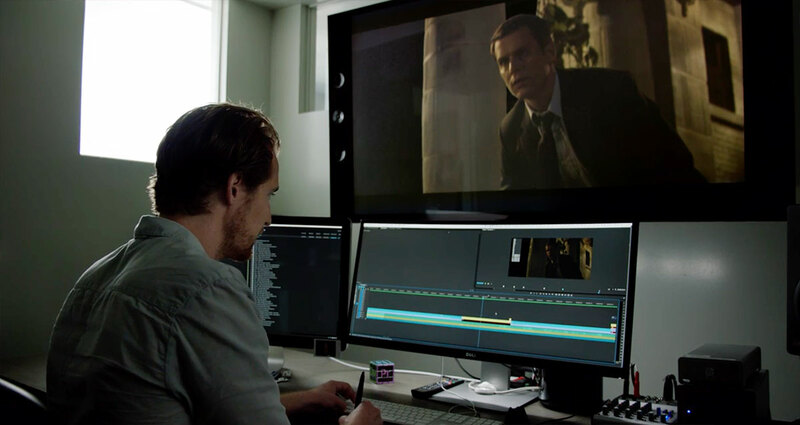 As in the past films, the editorial team used Apple Final Cut Pro connected to an Apple Xsan shared storage system as their weapon of choice. David Fincher shot approximately 280 hours of footage, recording all of the scenes with two and sometimes three RED cameras. The production schedule spanned from September to March, with a pick-up scene shot in July. Baxter and Wall worked out of Rock Paper Scissors (Wall’s LA editorial company) during shooting, staying up with the production during the first assembly process. Once production wrapped, editing was moved to Fincher’s production company offices. The two editors split up the scenes between themselves during the fine-cutting of the film. Nelson continued, “When I received the locked cut, I generated an EDL for each video track and then used my FileMaker Pro script to parse the EDL to drive the transcode of the RED files into 4K DPX image sequences. I used these same EDLs to import each reel into After Effects CS5 to assemble our final conform. The footage was shot in 4K [4096×2048]. David framed his shots with a 2.40 matte, but with a twist. We added an extra 4% padding on all sides so that if we wanted to reposition the frame north, south, east or west, we had a bit more image to work with. Effectively we had 3932×1638 pixels to use. The final images were exported as 2K [2048×1024] DPX sequences for Light Iron’s DI.” This extra padding on the edges of the frame came in handy, because Nelson also stabilized a number of shots. SynthEyes was used to generate tracking data for use in After Effects for this stabilization. Cioni continued, “Ian graded the files using one of our Quantel Pablos. Since much of the look of the film was eloquently established on set, the grading came naturally to nearly every scene. The Social Network will really show off the expanded latitude and low-noise characteristics of RED’s M-X sensor. The scenes in this movie really live in the shadows. This film will deliver to audiences significantly more detail in images below 10 IRE as compared to typical digital cinema sensitivity. Although the majority of the first release will be seen as film prints, the future of all movies is digital, so the priority was given to the look of the digital master, rather than the other way around.” Technicolor handled the film-out recording for release prints, including digital-to-film color transforms from the DSM (Digital Source Master). The film’s final output is cropped for a 2.40:1 release format. 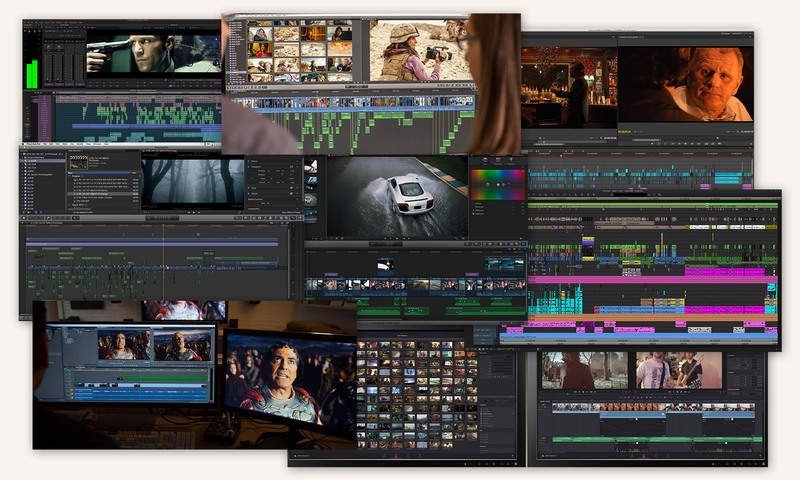 UPDATE: Here are several nice pieces from Adobe , Post magazine (here and here) and the Motion Picture Editors Guild that also go into more detail about the post workflow. Written for Videography magazine (NewBay Media LLC).